Parishioners at Good Shepherd are very giving and gifted volunteers and we often participate in fund raising events to support many ministries. Every year our annual goal is to raise $15,000 for our various mission opportunities. Volunteers from our parish/diocese travel to the Dominican Republic each year to assist in a building or development project.. We raise money to support the purchase of supplies for the project and we give youth scholarships for the children in the Dominican Republic who attend Episcopal church schools. 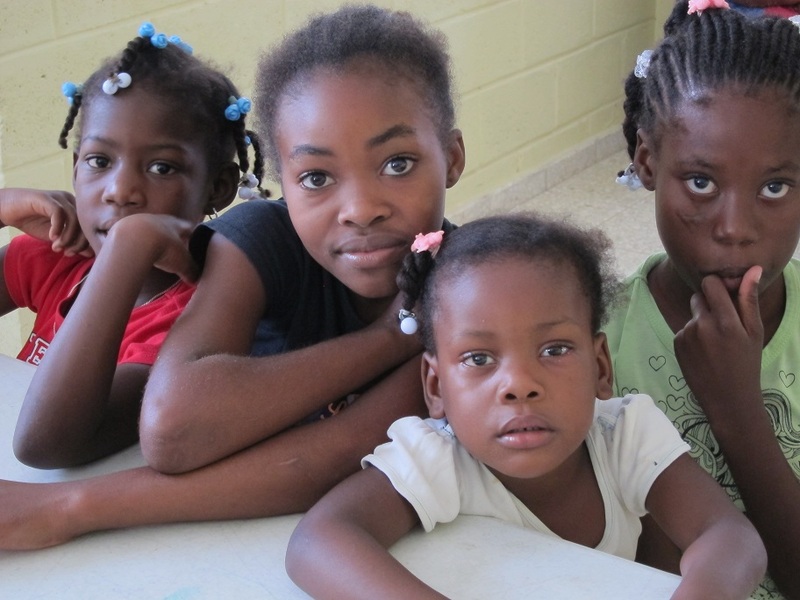 Good Shepherd Mission volunteers realized that although we support the Dominican Republic by sending volunteers to the DR to help build schools and churches, there is a need to help our United States families as well. Volunteers started making annual mission trips to cities and towns in the United States just after Katrina devastated areas in New Orleans and Biloxi, Mississippi. Our present focus is Tuscaloosa, Alabama. Volunteers from Good Shepherd join parishioners from Milan Vineyard Church in Michigan on an annual mission trip to Tuscaloosa, a city devastated by a major tornado and still rebuilding. 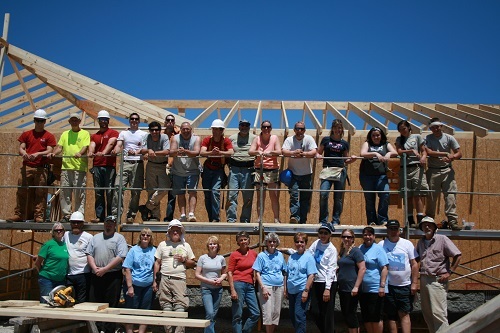 We join with Habitat for Humanity in building a house each year alongside the "owner in waiting". 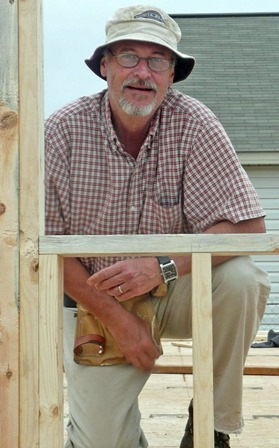 This year we will have completed three houses for the families whose homes and lives were torn apart by natures fury. We are a welcoming church, our church family greets and welcomes all who pass through our doors, inviting all to join us for worship and fellowship. 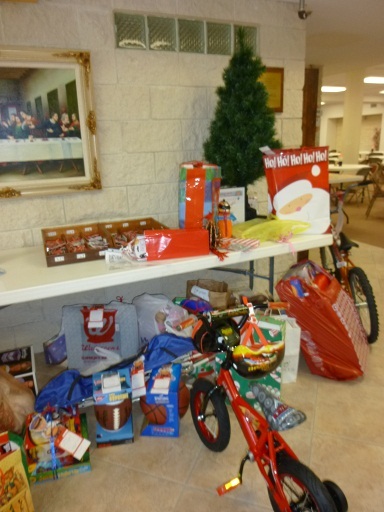 Every day of the year, Good Shepherd parishioners give back to those who live locally. We provide things like food and clothing, gifts for children, mission support and bell ringing to support the Salvation Army at Christmas. We support the efforts of Habitat for Humanity by delivering refreshments to the Habitat Volunteers on a weekly basis. Angel Tree: In December we support this national organization by purchasing Christmas gifts for persons recommended by the Salvation Army and also for prisoners incarcerated in the nearby community. We have a Secret Santa program which raises money for gift certificates for needy kids. Children's Christmas Gift-making day - On a Saturday in December, children from our local school and parish are invited to Good Shepherd for an organized event where they can make an assortment of gifts, wrap them up, and present to their loved ones on Christmas Day. Habitat for Humanity - Once a week, volunteers wrap and deliver snacks and refreshments to those volunteers who work at local Habitat for Humanity work sites. Salvation Army; From Thanksgiving to Christmas,volunteers from Good Shepherd take 2-hour shifts toserve as bell ringers outside local stores for the Salvation Army for those less fortunate in our communities. Those who volunteer say that this simple action of ringing a bell for the SA restores their hope as well, helping those in need. Our annual goal, of monies raised, is $10,000. Crop Walk group of 50 to 65 parishioners annually walk for the hungry in the early part of the year. Their goal is to raise as much money as they can for the hungry in Sarasota County and the nation. Our annual goal is $6,000. Weekly Good Shepherd parishioners collect canned goods and other food stuffs for delivery on Monday to the local Salvation Army. United Thank Offering (UTO) In December funds are raised to assist the historical Women's Auxiliary Movement, now merged with Episcopal Relief and Development, in the support of Episcopal missionaries worldwide.